Picked up a Stevens 311 Series H today for a steal but the stock is cracked. The rest of the gun is just dandy. So i am going to get this fixed. How would some of you pursue this? 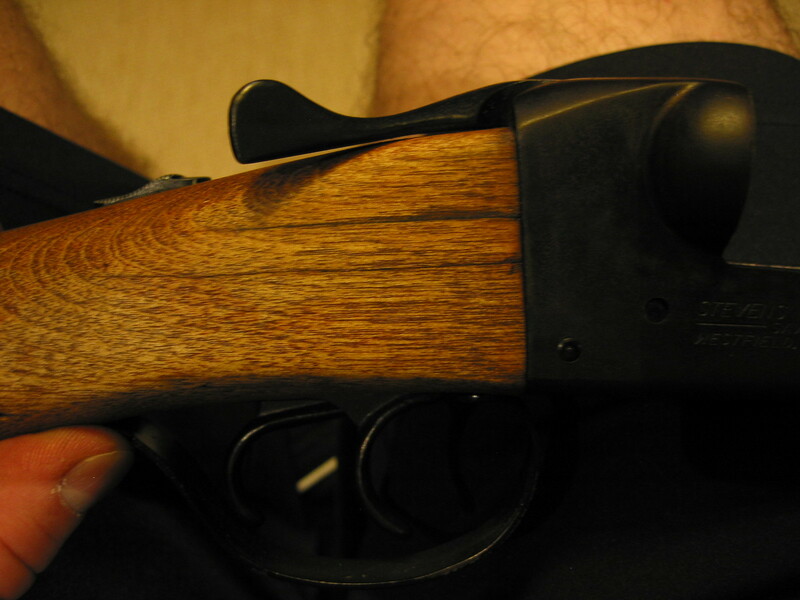 Bit of info on the gun, It is 12 gauge with 30 inch barrels and 3 inch chambers. Made in Westfield, Mass. Serial number is 7 characters long beginning with a "C" Not a circled C like some of the descriptions say. This is part of the serial number. From what i can gather this is from the late 1970s. not sure what the stock material is but it is very light. I am guessing maple. All is original with no mods. Full choke on one side and modified on the other. No wear on the hinge or latches. Looks like a very lightly used gun. I am hoping to get it back in working order and use it as a trunk gun. The stock might be Birch wood. You might be able to get a replacement stock from Gun Parts Corp.
What a bother. Hope you can find or make a decent stock for it. 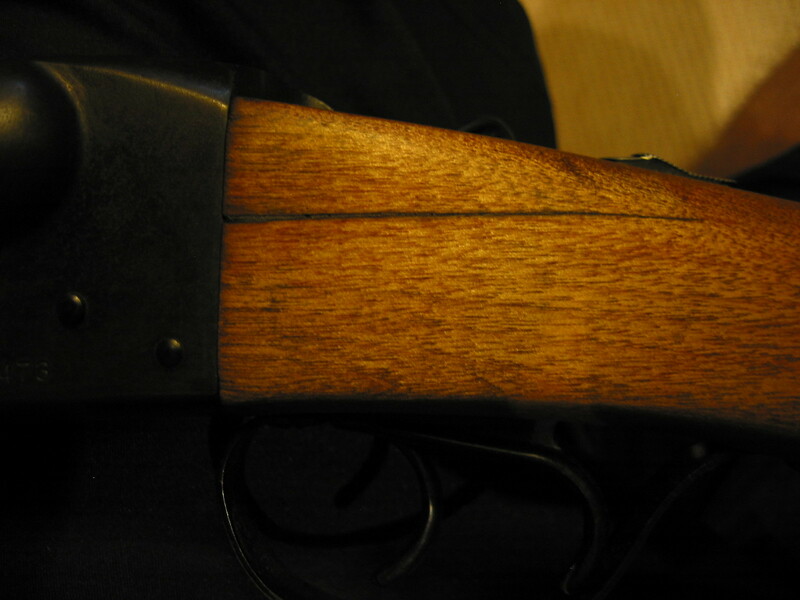 Double barrel shotguns are essential for upland bird (quail, pheasant, partridge, etc) hunting. Update to this issue. My local gunsmith fixed the stock for $30. He put two brass pins and epoxied it. Was such a tiny issue i thought he wasn't even going to charge me. I had to almost force him to take the money. I have since fired 4 boxes of Imperial number 5 though it with no sign of it breaking again. This shot gun has been the end of close to 100 pidgins and crows. It is spot on.